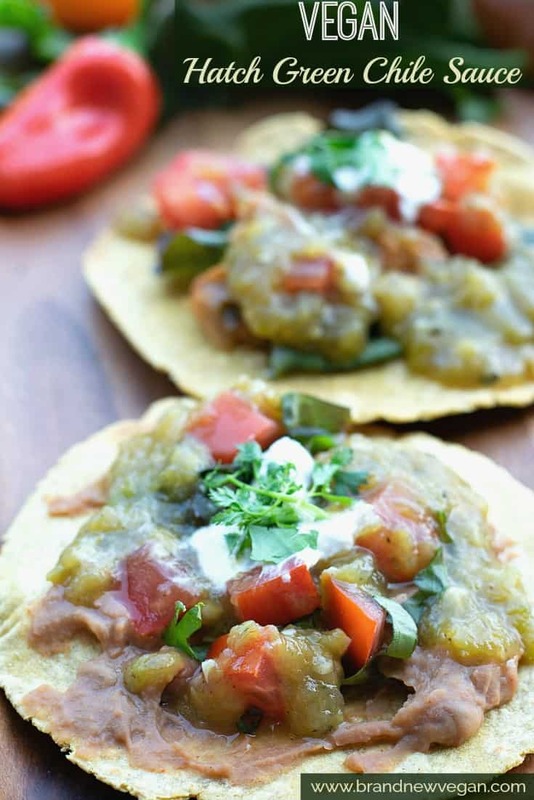 Ask anyone who has ever lived in the warm and sunny state of New Mexico what they love the most… and I’ll bet they’ll say the same thing….. Vegan Hatch Green Chile Sauce! I know, how can something so silly as a pepper plant drive the madness that happens every fall as literally thousands of folks scramble to get their chile fix for the year? Probably because these are not ordinary pepper plants, these are Sandias, Big Jims, and Joe E Parkers. These are Hatch Green Chiles! And there’s nothing like them anywhere else in the world. And just so we’re clear….those long green peppers you see in the store? Those are probably Anaheims….not the same. They’re the same family of pepper, but a different variety that’s Californian grown. Nothing against California Chiles, or even Colorado Chiles, but they’re not Hatch. Hatch, New Mexico is a little town of about 1600 people in southern New Mexico and there’s just something magical about their soil, or all that sun, or something that gives their chiles such a unique flavor. 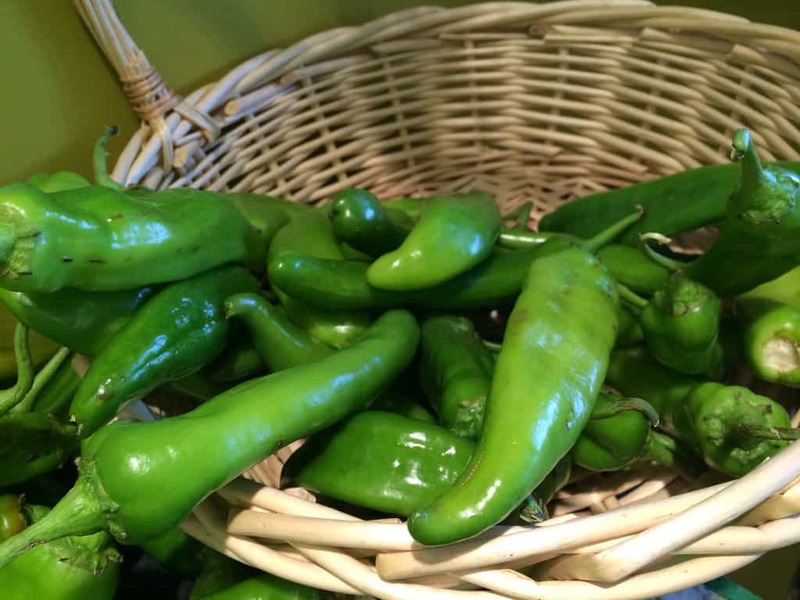 Comparing Hatch Green Chile to any other pepper, especially those little cans of ‘green chiles’ you see in the grocery store is like comparing a ‘greenhouse’ tomato to a freshly picked, right off the vine, fresh from your garden, juice running down your chin – tomato. I used to drive down to the little village of Corralles, New Mexico – and the smell of roasting chiles would be everywhere. You see Chiles are roasted to burn their tough outer skin, then steamed to loosen what’s left so they can be peeled. The soft, fleshy pepper underneath is what we eat, and their fire roasted flavor is simply AMAZING! Now they CAN be hot, and they can also be pretty mild, it just depends on the season. So if you’re not used to spicy foods – go easy on them at first – but I guarantee they will soon become addicting. What you have to understand is that in New Mexico, Hatch Green Chile Sauce (green or red) is like ketchup. It goes on just about everything, and I don’t just mean burritos or enchiladas. I’m talking hamburgers, pizza, potatoes, you name it. And we just can’t get enough. Since I no longer live in New Mexico, I have to buy my Green Chiles wherever I can find them, and I have found several places that sell them, even all the way up here in Oregon. Whole Foods sells freshly roasted Hatch Green Chiles every fall. Ask ahead of time and pre-order as they’re usually gone quickly. I have found the SELECT NEW MEXICO brand of frozen Green Chile at Walmart and Target. BUENO FOODS also sells frozen Green Chile, check your grocery’s freezer section. There are always websites you can order Green Chile from year round – but they can be expensive. Ask around and see if your local grocery will carry them. And if they do, ask if they will roast them for you. If not they are actually pretty easy to roast yourself. Just remember when handling Green Chiles – wear gloves – or keep your hands away from your eyes or any other sensitive body parts as the oil in these pods is quite hot. You may not realize you have any on your hands – but rub your eye just once…… Trust me – it burns badly so please be very careful. Wash and dry each chile. Take a fork and poke a few holes in each chile to let the steam out. Turn often to ensure the skin blisters evenly. Alternatively, use your BBQ grill. I’ve heard this is a lot easier and ensures a more even roast. Turn often with tongs – you just want the outer skin to blister and slightly brown. Once they’re done – drop them is a plastic bag or a covered pot. The idea is to lead them steam for 20 minutes or so – this makes the skin peel off easier. Pack in small freezer bags and freeze for later! Remove the stem, membrane, and seeds – these are what makes the chile hot! 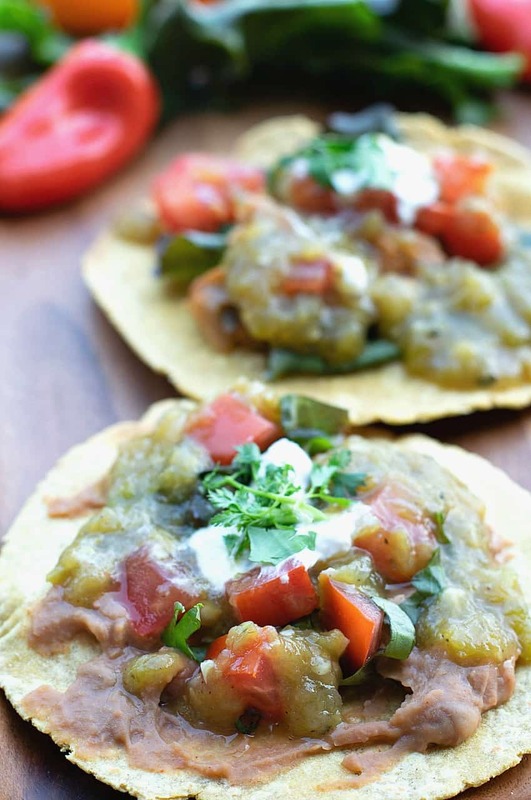 Making Hatch Green Chile Sauce is very easy. If you’re using a package of frozen Green Chile, allow it to thaw first, and drain them in a colander. Add about ½ of a finely diced onion to a large skillet and saute with a few tablespoons of water or veggie broth. When softened, add 3-4 cloves of minced garlic and stir for about 1 minute. Add 2-3 cups (about 1 lb) of chopped Hatch Green Chile and stir to mix. Season with ¼ tsp of Ground Cumin, ½ tsp Mexican Oregano, ½ tsp Salt, and ½ tsp Black Pepper. When bubbly, add 2 cups of Low Sodium Vegetable Broth and simmer on low heat until desired consistency is reached. To make a thicker sauce, mix 1 Tbs Arrowroot Powder or Corn Starch or even Masa Harina Corn Flour to 2 Tbs cold water and stur to make a slurry. Then pour that into the sauce while it’s simmering, and mix well. Hatch Green Chile Sauce obviously accompanies any Mexican meal from Tacos to Enchiladas, but it also makes a wonderful sauce for rice, beans, or even potatoes. I hope you enjoy one of my favorite sauces, and please leave those comments! I love to see what you come up with! 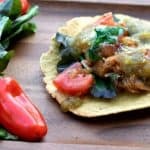 An authentic Hatch Green Chile Sauce recipe, perfect for Tacos, Burritos, Enchiladas, or even drizzled on baked potatoes! Full of Vitamin C! Add spices and simmer until bubbly, then stir in chiles. Whisk Arrowroot Powder with 2 Tbs cold water to make a slurry. Then stir into sauce to thicken if needed. Hey folks, including Chuck, “Hatch” has been overused and without full merit; Hatch, New Mexico is ONE location in the state of many here that produces green chile. The term we should use is “New Mexico green chile” – and chile is indeed spelled with an “e”, not an “I”, the latter referring to a stew. Yeah, I know people from New Mexico want to claim that hatch are the best. And yes, they taste awesome. But I have made tons of batches of green Chile, and it honestly tastes fine whether you use Hatch, Anaheim, Pueblo, etc. There is no special taste to hatch chiles that makes them any better or worse than any other. I understand the New Mexico is a state without any pro sports teams, and lots of crime and poverty, so having a claim to fame to a green Chile probably means a lot to you, but you’re not special. Sorry. The weather and the soil conditions are what makes the difference in both the heat and the flavor of the chile, wherever they are grown. You’re entitled to your opinion….but that’s all it is….YOUR opinion. Sorry you don’t like New Mexico, but it truly is a magical place. Yeah it’s actually very easy to tell the difference. It’s a big, big difference in flavor. I don’t know what happened to this guy in New Mexico, but there’s a story there. No one I’ve ever talked to has ever said they couldn’t tell a difference in taste. Are Hatch peppers good pickled? I just had the most amazing green chile while passing through New Mexico. So amazing that I’m now abscessed and can’t wait to make this! Thank you for the recipe 🙂 Good green chile makes everything taste so much better! It got rave reviews from former Colorado resident SO. I’m a New Mexican and the cumin is a terrible addition. decent base recipe though. Love this and use it as a base for vegan chili Verde. I make mine hearty with 3 kinds of beans and potatoes. I usually make a roux first (flour and veggie broth, or green chile liquid. Cook while stirring about a minute, then add the chile and liquid slowly, stirring constantly. If you want onion and garlic, go ahead and cook them in the liquid, then add the flour/thickener for the roux, cook that and add the liquid/chile. (The hotter the liquid, the easier it is to combine w/o lumps. Thanks so much for spreading the word about our wonderful chile! We’d love to send you a box of flame roasted, hand peeled chile as a thank you. If you’d like a box, shoot me an email with your address and let me know how hot you’d like it. We do everything from mild to hot. Where can I get some of these boxed flame roasted ones? I agree with the Hatch voters. YUM! I was at Trader Joe’s yesterday and they had Hatch Chilies for sale . I used this recipe to make a batch and it was delicious! Thanks for the recipe! Can this be used instead of enchilada sauce? Or is it something to use with enchilada sauce? In Albuquerque, this (either red or green) IS the enchilada sauce, so yes. It should be fine. 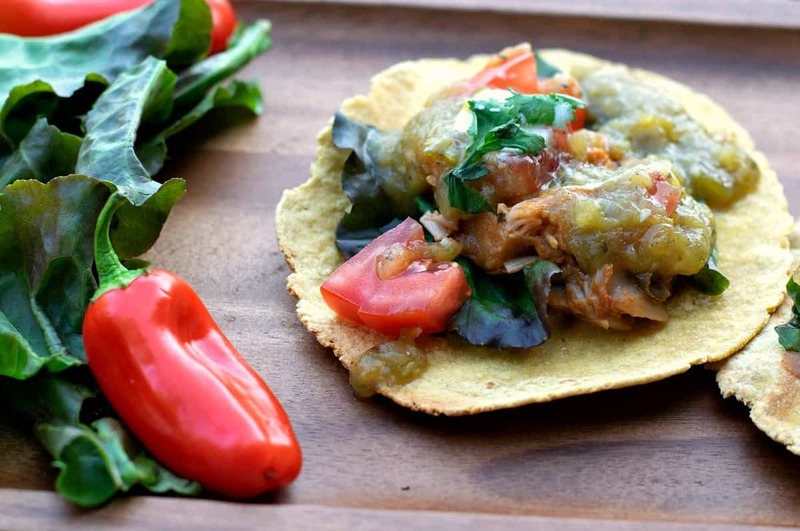 Yes, you can use canned chiles. The flavor will probably be different, but try it and see.